In this post, we will take a closer look at the simplest available tools thanks to which you can start your adventure with drawing for little money. It is not true that you need dozens of crayons in different colors to achieve great results. It will be more appropriate to learn first the basic materials that will allow you to learn the foundations of the artist’s knowledge. Like values, gray scale and the right contrast in the drawing. The following materials also include the pencil, which was discussed in my previous post from this series. All articles from the current series can be found here. But before we got a pencil to our hands (thanks to which probably every illustrator made dozens if not hundreds of works), artists created with charcoal in the form of irregular sticks. They were made using natural methods, because the wood was common. Thanks to charcoal, both precise lines and softer lines were easily obtained. It was used both to draw sketches from nature and preliminary works for mordants. The universal application made it possible to create on virtually any substrate – it was enough that it was even slightly rough, so that the carbon mark could settle on the surface. An additional advantage was the large ease of removal, and thus – line correction. High flexibility in drawing and removing traces of charcoal is often regarded equally as an advantage as well as a disadvantage. I described the advantages above, but the disadvantage is undoubtedly the fact that work done with dry coal is extremely delicate and it is easy to destroy it with every accidental touch. Today we are dealing with this problem with fixative, but some time ago the artists did not have such tools. For this reason, various ways of fixing drawings made with carbon were tested. One of them was oiling the charcoal with drying oil, and more precisely linseed oil (by the way, linseed oil, thanks to its unusual properties, is used in the creation of oil paints, because it is the only oil dried in the polymerization process). The strokes obtained with greased oil are resistant to erasure and are characterized by a greater depth of black. The largest development of the drawing using this type of charcoal falls on the XVII century. They were usually drawn on smooth paper, mostly unpolluted. The biggest downside of this technique were greasy stains – when the charcoal absorbed too much oil or did not dry enough, it gave off the fat on the paper. At the time of the invention of black pastels, that is in the 19th century, the technique of charcoal drawing gradually lost its popularity. Today, charcoal is obtained in the process of artificial distillation, and thanks to the use of various types of wood it is possible to achieve different levels of black saturation. 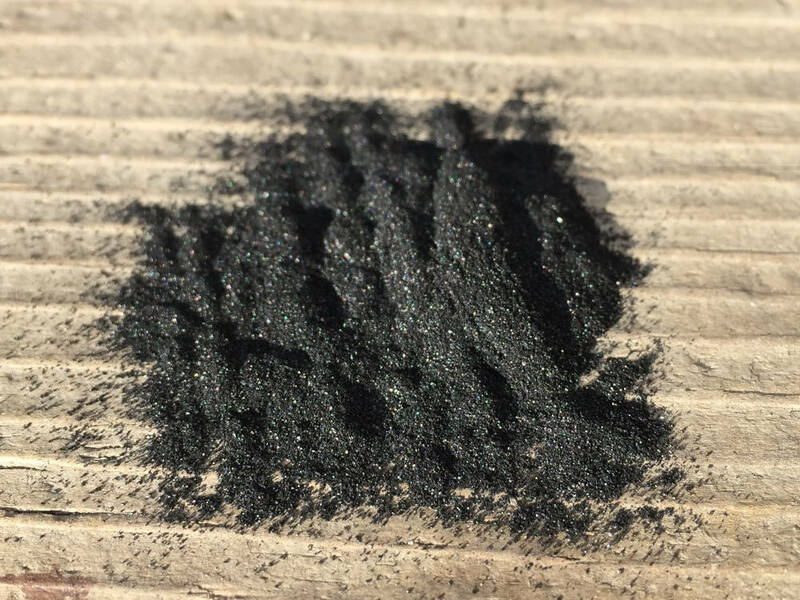 Interestingly, even charcoal itself is often not a natural product – so-called Siberian charcoal is obtained from wood material. Properly prepared mass is pressed into a rod-shaped mold, and then dried and burned in a retort furnace. Such a production process makes it possible to obtain drawing charcoal in seven degrees of hardness, i.e. something that was still impossible for this medium a century ago. Nowadays, we also have charcoal in various forms, for exapmple in a wooden frame – so that we do not stain our hands. Another form of it (no longer so revealing) is powdered charocal, which can be purchased in some art stores. It is very useful for covering large areas of the drawing – especially if we work on a larger format and for work on values. This is a variation of the coal described above. Recently I wrote about graphite in the post about pencils, so I will not write too much about it. It’s just worth remembering that in addition to the mold in a wooden frame, you can also buy it in the form of sticks, thanks to which it will be easier to cover larger surfaces, and your works, especially those in a larger format, will have greater impact. It is known that at home it is sometimes difficult to find a place for such large drawings, but it is worth thinking about purchasing for example a table easel. Such a larger sheet will allow us to better train the muscles of the entire arm. Beginners often make the mistake of using only hand muscles to draw, making the lines unstable and uncertain. 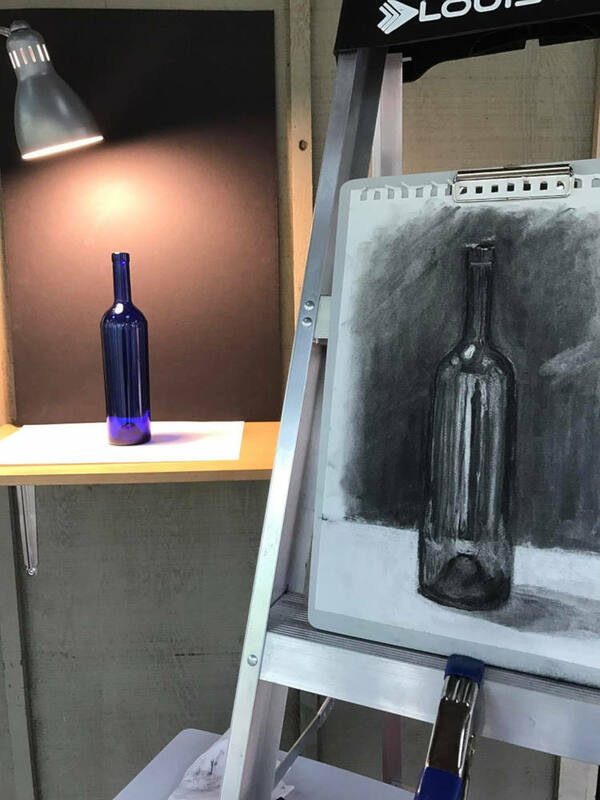 It is not without reason that in art studios and on various types of courses, the simple materials discussed by me in this post and the large format of paper are first introduced. It is a red brown dye – hence the name of the photos in this color. Once obtained from a bag of cuttlefish and used in both drawing and painting techniques. It is now obtained from iron oxide. Thanks to sepia, you can get an interesting line in the drawing with an intense red brown shade. I personally like to work in this technique. Sometimes it is nice to sketch in color, not in shades of gray. Thanks to this, you can, for example, make a better sketch for the portrait, in which after all the warm shades prevail. We do not have to intensively erase the paper later, before applying further layers. For this reason, sometimes it is also good to sketch with crayons (about which more in the next post) because you can choose the color prevailing in the final finished work. The easiest to obtain and use artistic materials have always been those of natural origin. 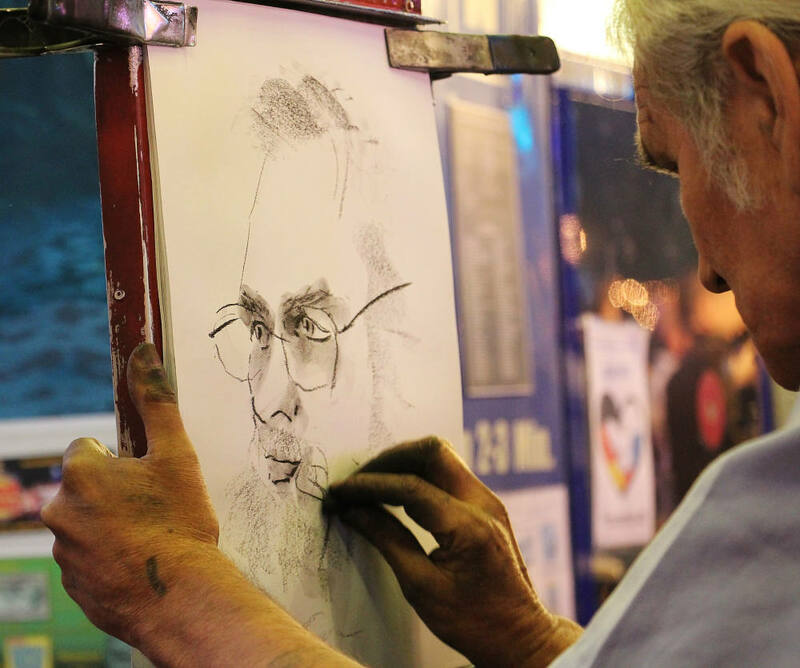 While charcoal required processing, some of the artistic media were available “on the spot”. The chalk is a limestone sedimentary rock that is formed at the bottom of water reservoirs from the remains of small marine organisms. It can contain small amounts of opal quartz or chalcedony – thanks to the varied composition takes different shades – from gray to snow-white through cream or light blue. On the other hand, sanguine (the name from the Latin word sanguis, sanguinis – blood) is a natural mixture of iron oxide and clay resulting from grinding and sludge. It was used to make drawings / sketches from red-brown to brown. Known since the earliest times, it found its use in the drawing in the fifteenth century thanks to Leonardo da Vinci, who was using it a lot. Both of these techniques were used both in sketches and independent work. Their biggest downside is their high susceptibility to erase and weather conditions. Today, in order to secure such works, we will use fixative, but artists several centuries ago did not have similar materials. I recommend using the cheapest (the cheaper the better) hairspray to fix the work. It has very similar properties, and it costs a lot less. Personally, I like the most sets in which you can buy the materials I mentioned. I myself buy one that contains every medium in the form of stick and I use it together with the popular Versatile. It is a binding (something like an automatic pencil of a larger caliber), in which we can conveniently put on a graphite, sepia or sanguine we use. To sum up, when we want to make a drawing or a sketch, we have a wide range of materials and techniques to choose from, but it’s also worth getting to know the most basic ones. Sometimes what matters is not with what we create, but what. It is good to have this in mind especially if we practice the basics of artistic knowledge. If you have ever had to deal with the techniques described in this post or you have tried your strength – be sure to share your observations and the fruits of work. Until next week!